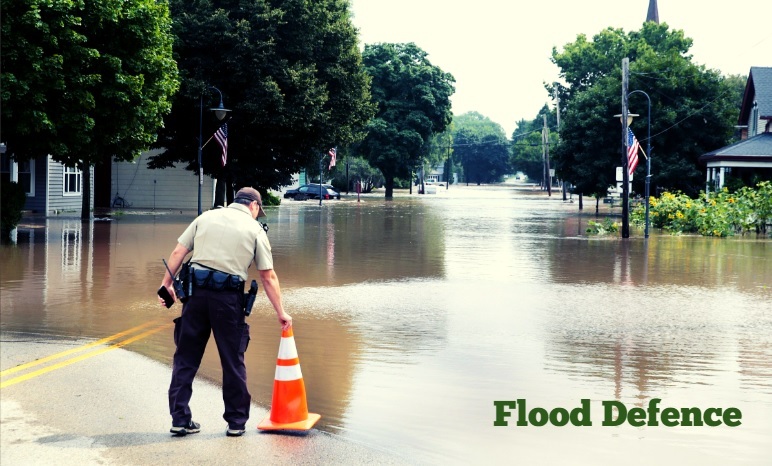 Such natural disasters as a flood are difficult to predict, but there are flood defence methods that minimize the risk of flooding and avoid significant damage. One of the most effective ways of dealing with floods is building reservoirs. With the help of the dam, the riverbed is blocked and a reservoir is created. During a flood, excess water is retained in it, which protects the area downstream from flooding. Not only dams and reservoirs but also protective dams allow to avoid flooding. They are usually erected along the banks of the rivers and the sea. They are necessary in order to protect the territory from rising waters and the effects of waves. They also build bypass channels for the flood defence. Part of the water goes in the artificial channel, and this helps to avoid flooding the area. Another way to combat flooding is to increase the carrying capacity of rivers. For this, the river beds are widened, cleared from debris and debris, the bottom is deepened, the winding beds are made straight. Due to this, the rivers during the flood pass a greater flow of water. And yet, settlements located along the banks and rivers and in coastal areas are periodically flooded. Many of the flooded homes were originally built in areas prone to flooding. At the same time, capital construction is prohibited in such places, and what has already been built must be either transferred or protected by dams. Recently, the U.S. Senate adopted a bill prohibiting the construction of buildings in flood zones, unless special protective measures were taken. If the president signs the draft law, these amendments will enter into force.